I belong to a very large worldwide foodie group on Facebook called “The Cook’s Cook” with over 80,000 people participating. Every week or so there will be a debate about the best pizza or chili and people are quite passionate about why Texas Chili is the only “real ” chili because it has no beans and people from up north swearing by their chili con carne that does have plenty of beans. I got dozens of responses as well as links to food bloggers favorite recipes for these iconic regional foods. I will start with my beautiful state of Colorado. You haven’t been to Colorado until you’ve eaten our version of Mountain Mex Colorado Green Chili made with Pork and another member said Palisade Peaches and I have to agree with that. They are delicious just juicy over the sink, in a peach pie or cobbler, in a margarita or sangria, grilled and then frozen so you can enjoy them for a few months after they are gone. The peach season starts in late June and runs through early August. You haven’t been to Belgium until you’ve eaten Vol-au-vent: puff pastry filled with chicken, meatballs, mushrooms, and carrots in a bechamel sauce with French (Belgian) fries on the side. I found a translated recipe for Volu-au-vent on Food Network Canada here. Vol Au Vents Recipe. This is also a favorite recipe for folks in Quebec. Visitors to Belgium thought first about Belgium Chocolate! You haven’t been to Whitby, UK until you’ve tasted Fish and Chips with a cup of tea and white bread and butter. English Fish & Chips wrapped in newspaper will be my first meal if I ever get to England. You haven’t been to Minnesota until you’ve tasted Tater Tot Hotdish. Diane shared her recipe for her version here. You haven’t been to Minnesota until you’ve tasted (homemade) wild rice soup. Kennedy didn’t have a recipe but she said this one came close. You haven’t been to Washington until you’ve tasted (My)Dungeness Crab Quiche. Robin didn’t offer a recipe but said her version uses egg, swiss cheese, green onion, Old Bay, cream and of course Dungeness Crab during crabbing season. You haven’t been to Nashville until you’ve tried hot chicken! I’d never heard of this so Diane explained it is “chicken marinated in buttermilk with cayenne pepper, breaded in a breading mix with more cayenne pepper, and fried! Delicious on top of a biscuit with some honey drizzled on top! It’s not like buffalo wings, it’s a dry heat.” I think this would be delicious on waffles too. You haven’t been to Ontario until you’ve had Butter Tarts. Rock Recipes shares this classic Canadian version of Butter Tarts. You haven’t been to Boston until you’ve had fresh Clam Chowder! You haven’t been to Saskatchewan until you’ve tasted bitter cold winters & Regina-style pizza. We couldn’t find any recipes for this iconic pizza pie but did find this video. You haven’t been to San Diego, California until you’ve tasted fish tacos! You haven’t been to St. Louis until you have tasted thin crust (like a cracker) pizza with Provel! I found a recipe on Cookie for Keeps right here including the Provel cheese. You haven’t been to South Africa until you’ve eaten Boerewors Pap and Tomato Smoor! I found a recipe for this regional dish here on Food I Love. You haven’t been to Alberta, Canada until you tried my Butter Tart Cheesecake! said Christine from Curiosity Fed the Cat and wow doesn’t it look delicious! You haven’t been to NYC until you have tasted a New York bagel. I have to agree with that one, they are delicious! You haven’t been to Florida until you’ve tasted Snow Crab Claws. You haven’t been to Illinois until you’ve tasted ooey, gooey cheesy pizza on a thin, slightly charred crust. You haven’t been to Minnesota until you’ve tasted Potatiskorv. I didn’t know that was so Janene explained ” It’s Swedish Potato Sausage. It is, as I understand, from one particular Swedish province (Varmland), and is made of ground pork, beef, onions, and potatoes. We usually have it throughout the winter. To prepare the sausage, you boil it until thoroughly cooked. We found a recipe on Foods of the World. Langer’s Deli is famous for this hand-cut hot pastrami, cole slaw, Russian dressing, swiss cheese on double-baked rye bread sandwich. You haven’t been to central Massachusetts until you’ve tasted the smoked seafood sampler at The Sole Proprietor. The Salt did an article here about whether Tampa or Miami has the best Cubans. You haven’t been to Wisconsin until you’ve tasted New Glarus Spotted Cow – a beer. You haven’t been to New Brunswick (Canadian province) until you’ve tasted maple candy on the snow in spring, also Fiddleheads. You haven’t been to South Carolina until you’ve tasted Hamhocks and dirty rice with butter beans! Here is a recipe for Ham Hocks & Butter Beans and another for Dirty Rice. You haven’t been to Rhode Island until you have tasted Rhode Island (clear) chowder with clam cakes. You haven’t been to Colorado until you’ve tasted Beau Jo’s Pizza. It seems as if every region declares that THEY have the best pizza. I think Pizza is just delicious! All the different kinds are yummy!! Here in Colorado, Beau Jo’s is the only iconic Mountain Pie and it’s a thick crust pizza served with honey on the table to use for the extra crust. The best location is up in Idaho Springs on the way home from a day of skiing. The salad bar there is served from an elevated antique clawfoot bathtub. 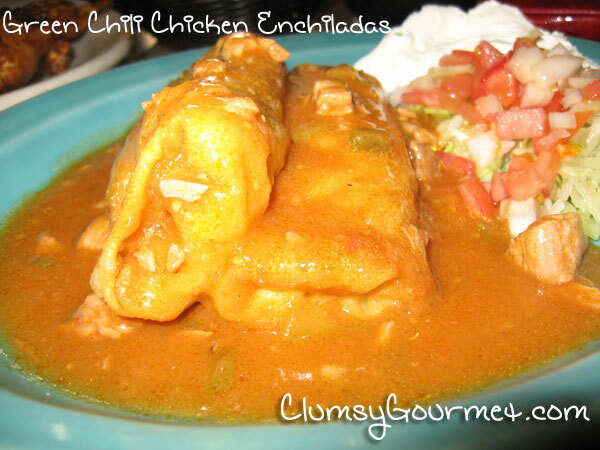 You haven’t been to Colorado until you’ve tasted burritos or enchiladas smothered in Green Chili. You haven’t been to Florida until you’ve tasted gator tail and conch chowder. You haven’t been to Kentucky until you’ve had Country Ham. You haven’t been to Philadelphia, PA until you’ve had a Philly Cheese Steak. Philadephia is also known for its roast pork sandwich made with Italian Pork, broccoli rabe, provolone, and the peppers of your choosing. You haven’t been to Texas until you’ve had a Chicken Fried Steak. My nephew is from Texas and that’s his go-to order at pretty much any restaurant anywhere is still Chicken Friend Steak, sometimes he’ll order chicken fried chicken. I guess you can take the boy out of Texas but… well you know. You haven’t been to Yorkshire UK until you’ve tasted Yorkshire puddings and tender roast beef. The Spruce has an award-winning recipe for this iconic English dish. You haven’t been to Tennessee until you’ve tried Moonshine, GooGoo Clusters, Nashville Hot Chicken, Memphis Bbq, or Knoxville Pig Burger.